The Work of Human Hands is award-winning journalist Wayne Miller's captivating and inspiring account of one of Hardy Hendren's biggest challenges: Lucy Moore, a fourteen-month-old girl born with life-threatening defects of the heart, central nervous system and genitourinary system. Before Hendren, surgeons regarded Lucy's condition as fatal. Now, largely due to Hendren's contributions, these childen are saved and made normal. But even by Hendren's standards, Lucy Moore is a daunting and demanding case. As Hendren prepares for his marathon operation, Miller takes us on an unprecedented tour of Hendren's surgical home, Childen's Hospital of Boston, widely regarded as the best pediatric hospital in the United States. Children's Hospital has always been a place for trailblazers. In 1938, Robert Gross risked his career by violating his superior's orders and performing heart surgery on a child. The operation, recreated here in stunning detail, was a triumph for Gross, who became a legend in the field and a tempestuous mentor to hundreds of young surgeons, including Hardy Hendren. 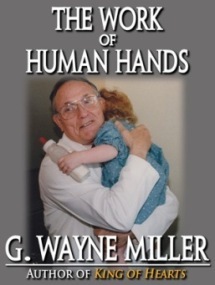 By telling the story of this hospital, its lore, its people and their remarkable accomplishments in surgery throughout this century, and one brilliant surgeon's attempt to repair a severely deformed child, Miller shows us what remains exemplary about health care in America. Poignant and dramatic, lively and engrossing, with breathtaking insight into the craft of surgery, The Work of Human Hands is medical and literary journalism at its best. Lucy and Dr. Hendren today. Today, Lucy Moore, the 14-month-old baby who spent nearly 24 hours on Hendren’s operating table is a college graduate, fully healed and living a normal life. Hendren performed his last surgery in 2004, when he was 78 years old, but he continues to work full-time on his non-profit W. Hardy Hendren Education Foundation for Pediatric Surgery and Urology. He still receives some of the world’s most prestigious medical honors, most recently the Jacobson Innovation Award of the American College of Surgeons, in June 2012. The publisher and author are donating a portion of the proceeds from these editions of The Work of Human Hands to the Hendren Foundation. Visit the Foundation and join the conversation about Dr. Hendren on Facebook.